While we in Toronto are still locked in winter’s cold, iron grip, March brings at least the hope of spring. Longer days, warmer temperatures, less snow and ice (please, God!) and Easter chocolate! Here are the things I’m looking forward to most about spring. 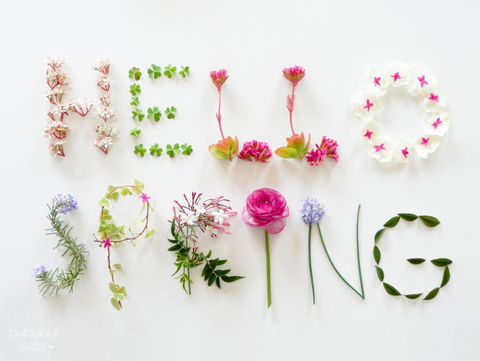 I hope these springy images perk up your March, and let’s hope they become reality sooner rather than later! The gloves, the mittens, the heavy boots, the scarf, the snow pants, the hat, the hood—and that’s just for me! Then I have to do it all over for my kid! It takes twenty minutes just to dress, and then you can only stand being outside for fifteen minutes. I’m done! Bring on my spring trench and my rain boots, please. I’m ready for the warmer temps! I always delight at seeing color return to the ground after months of gray, dirty snow. 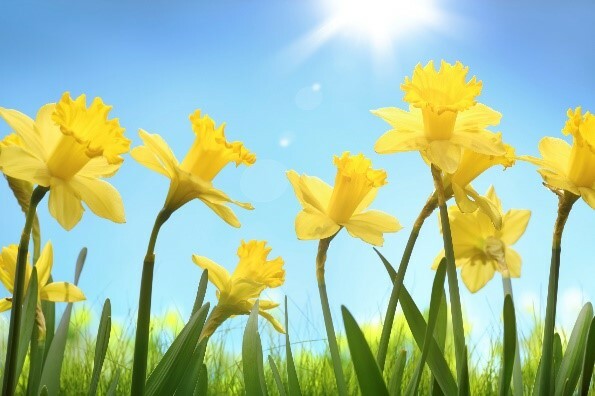 I think my favorite of the early bloomers are the sunny daffodils. 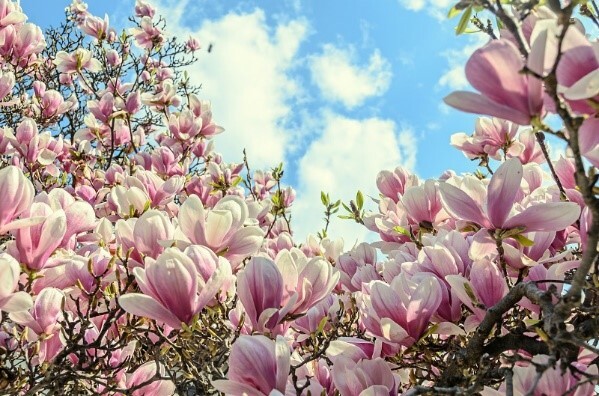 Later on in the spring, I enjoy watching for the magnolia to blossom. They’re such beautiful and vibrant plants, and the flowers last for a very short period of time. 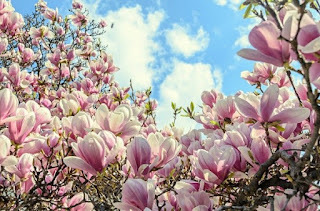 There are a few wonderful magnolias in my neighborhood, and I love walking around and taking in this beautiful sight of spring. I don’t realize how quiet winter is until the birds come back with their lively chatter. It gets super annoying by the summer when they start chirping outside my window at 4 am, but in the spring I’m still grateful to hear their tweeting again. Around here, seeing a robin is an early sign of spring. So I’m on the lookout for one of these beauties now! And of course…the March releases! 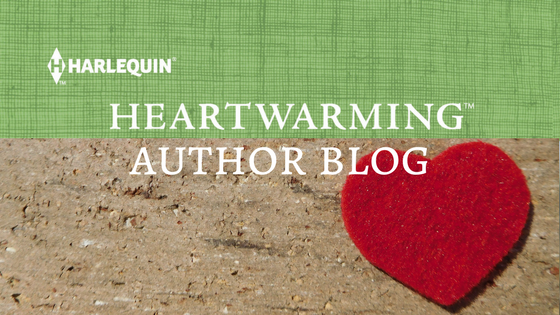 March also brings four great Harlequin Heartwarming releases: Falling for the Cowboy Dad by Patricia Johns, A Promise Remembered by Elizabeth Mowers, In the Doctor’s Arms by Carol Ross and Tennessee Reunion by Carolyn McSparren. Check them out! We in Tucson are luckier than most, but still we had the worst winter ever with several inches of snow. Last week it snowed for 6 hours. Unheard of. And planes leaving had to be de-iced. Also a first. We are all ready for spring. I've read 2 of the 4 books listed. Need more reading time. Hope your weather improves very soon. Greetings from icy Green Bay, Wisconsin! The Upper Midwest and Ontario seem to enjoy a friendly weather-sharing agreement. Love your photos. I'm especially looking forward to the flowering trees and hope to manage a day trip to the gorgeous apple and cherry orchard country here. I try to go every year to see them, but like spring around here, they don't last long. As always, the new releases look wonderful. Thanks! That's a great tradition, Virginia. The fruit trees are very pretty when they blossom. And I agree that the new releases look wonderful! Greetings from cold North Mississippi where we are 36 degrees and cloudy...but we have daffodils (or buttercups as we call them). And the camelias are in full bloom. Hello from Indiana, where we're waiting impatiently for the same thing you are. March came in a pretty lamb-like manner today, so I'm not sure what we have to look forward to. Loved the pictures! I love daffodils. 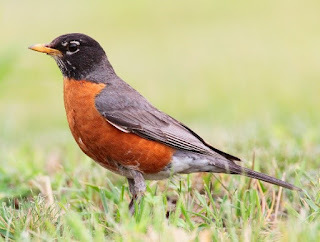 That bird must have a cousin because a robin perched in a tree outside my bedroom window and woke me at 4am everyday for a month a couple of years ago in Anchorage. I was praying he would find a mate and move on to nest building instead of sunrise serenades. Hope you and the kid are soon stomping through puddled and sniffing the flowers. Thanks, Beth! She LOVES puddles. There will be lots of stomping in our future ;). Having lived in Arizona for most of my adult life, I can't imagine being snowed in for an entire winter. Although, I am super jealous that y'all have daffodils. They are my absolute favorite and I can't get them to grow here. That sounds like a good trade-off to me, LeAnne, LOL. No snow! Right now that sounds pretty great :). These March books look so great! Adrienne, I hope things warm up for you soon! I love spring and it happens very early here in Northern CA. My daffodils are up and the trees are blooming. I try to really enjoy the green grass on the hills because soon it will turn brown and stay that way until next winter!